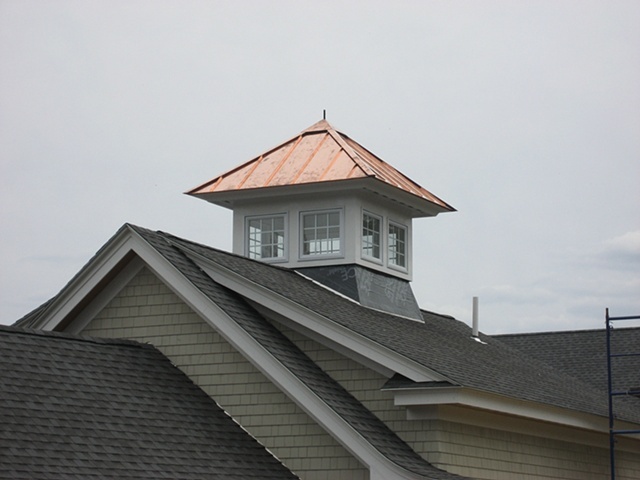 This was a 10'x10' standing seam double locked hip roof for this cupola. The cap that sits over the hip caps at the top was made to cover the weathervane mounting hardware. No weathervane installed while we were there but is in place by now.